A team of bishops from across the north west visited Liverpool for a special match against Red Neighbours' walking football team on Friday. 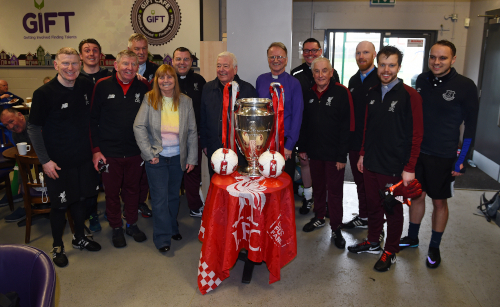 The bishops travelled to Anfield Sports and Community Centre to go head-to-head with a Red Neighbours squad that included LFC legends Ian Callaghan and Roy Evans. Led by Red Neighbours team member Bill Bygroves, the morning consisted of a high-tempo warm-up with stretching, followed by a series of dribbling drills and competitive games. After the final whistle, the teams headed inside for a cup of tea, a slice of cake and a catch-up – and there was even the chance for the bishops to have their photo taken with the prestigious Champions League trophy. The bishop of Sherwood, Tony Porter, said: “What a great experience. The Red Neighbours team have made us feel extremely welcome and we’ve enjoyed a great game of football. 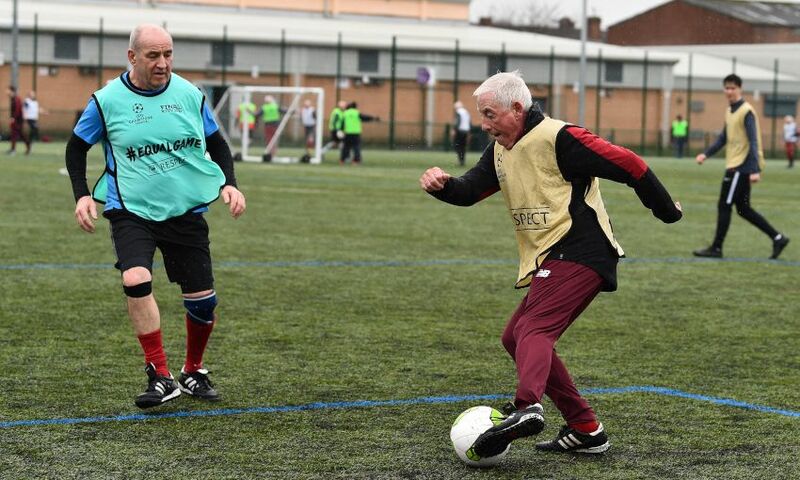 Walking football supports two key areas of Red Neighbours’ focus: support for the elderly community and encouraging a physically active community.